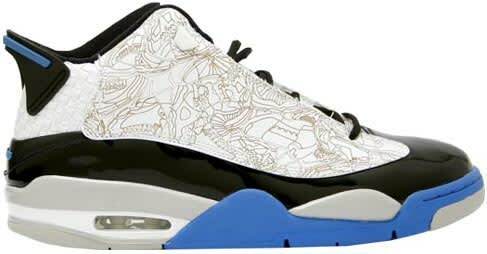 Complex Says: The Dub Zero uses features from eight Jordan models to construct the model. You’ll find the IV’s midsole and sole, the VI’s pull tab on the heel, patent leather from the XI’s, the TWO 3 on the tongue from the XIIs, the XIII’s shape for the upper, *catches breath* the XV’s woven heel area, the chrome on the heel from the XVII, and the lasered upper from the XXs. Whoever said less is more?